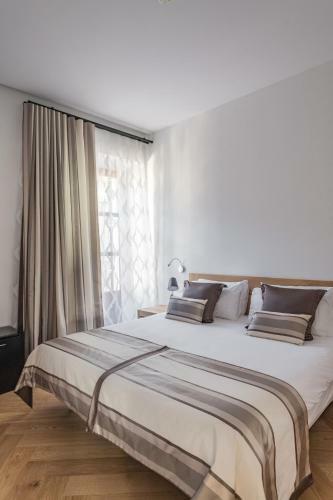 Can Mostatxins in Alcúdia is a small-scale hotel with 8 Rooms. 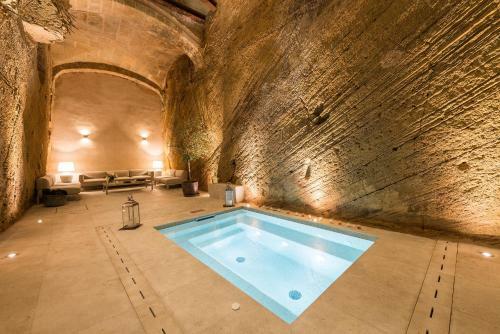 Housed in two restored buildings dating from the 15th and 19th century in Alcudia Old Town, Hotel Can Mostatxins features a hot tub. A range of massages and treatments using local products can be arranged on request. 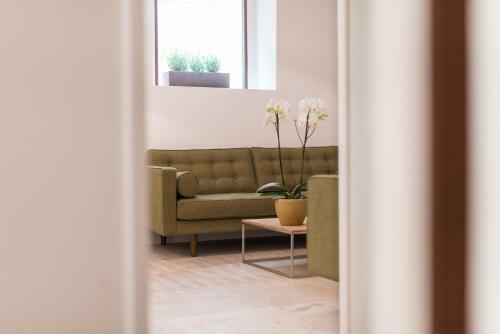 All rooms have at least one original stones wall with exposed bricks and come with a flat-screen TV, and a minibar with unlimited free bottled still and sparkling water and 1 free bottle of cava per stay. Some rooms have a private terrace with views over the spa area. A locally sour...ced and freshly prepared continental breakfast is served in the breakfast room every morning with a selection of Mallorcan, German & Italian products along with fresh bread, fruit, home made yogurts and cakes. In Restaurant Apolonia, located in Can Frare, a few metres away, guests can also enjoy lunch with a modern take on traditional Mediterranean food, or have a drink at the Champagne Bar. Hotel Can Mostatxins is 7 minutes’ drive from Port d’Alcudia sandy beach. Palma de Mallorca Airport is 60 km away. A free public parking is available nearby and there is free WiFi available throughout. 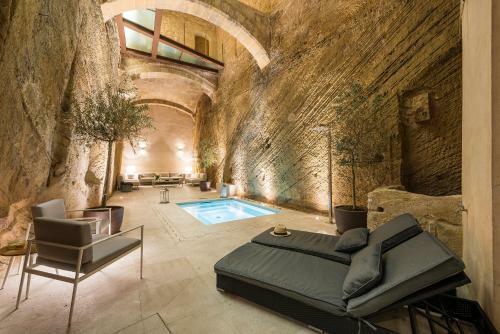 Housed in two restored buildings dating from the 15th and 19th century in Alcudia Old Town, Hotel Can Mostatxins features a hot tub. A range of massag...es and treatments using local products can be arranged on request. 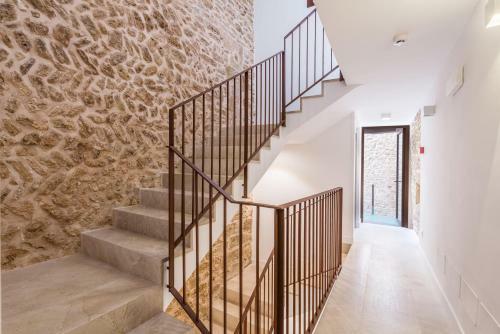 All rooms have at least one original stones wall with exposed bricks and come with a flat-screen TV, and a minibar with unlimited free bottled still and sparkling water and 1 free bottle of cava per stay. Some rooms have a private terrace with views over the spa area. A locally sourced and freshly prepared continental breakfast is served in the breakfast room every morning with a selection of Mallorcan, German & Italian products along with fresh bread, fruit, home made yogurts and cakes. In Restaurant Apolonia, located in Can Frare, a few metres away, guests can also enjoy lunch with a modern take on traditional Mediterranean food, or have a drink at the Champagne Bar. Hotel Can Mostatxins is 7 minutes’ drive from Port d’Alcudia sandy beach. Palma de Mallorca Airport is 60 km away. A free public parking is available nearby and there is free WiFi available throughout. When would you like to stay at Hotel Can Mostatxins? Please inform Hotel Can Mostatxins in advance of your expected arrival time. You can use the Special Requests box when booking, or contact the property directly with the contact details provided in your confirmation. Guests are required to show a photo identification and credit card upon check-in. Please note that all Special Requests are subject to availability and additional charges may apply. Please note, some rooms are located at the Can Frare building. Please see the rooms’ descriptions for more details.